Angel Clark, L.Ac., M.S.O.M., founder of Energetic Therapeutics, and a nationally traveled healer, has had her own private practice in San Francisco since 2002. 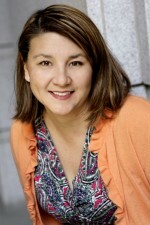 She is a California Board Certified Licensed Acupuncturist and Herbalist. Angel has over 20 years of experience working in the field of energy medicine. She helps people with a variety of physical, energetic and spiritual ailments find themselves and their true path. After years of working as a massage therapist in both Hawaii and California, and then teaching massage therapy in San Francisco, Angel became a Licensed Acupuncturist in 2002, graduating from Meiji College of Oriental Medicine with a Master’s of Science degree in Oriental Medicine. Around the same time, Angel completed an Acupuncture internship in Beijing and graduated from the Clairvoyant Program from the Berkeley Psychic Institute. Angel is continually leaning more about energy medicines, studying Aromatherapy, Esoteric Acupuncture, Hands on Healing, Quantum Touch, Therapeutic Touch, and is currently enrolled in the five-year Trance Medium Healing Program at Aesclepion Healing Center. Angel understands that treating the symptoms of a condition or disorder is not enough. She addresses root causes and conditions to create balance. Angel believes that connecting the body, mind and spirit is the key to creating lasting health and happiness, and she is dedicated to providing you with warm and compassionate care to help you reach your highest potential. The latest radio interview is available. Please check out the Classes and Events page. It’s about eight minutes long and will give you more information about the healing services offered. To hear a podcast interview with Angel on Blog Talk Radio in 2017 with live-on-air clairvoyant readings, click here. To listen to an interview on LA Talk Radio go to: http://www.latalkradio.com/content/empowering-your-life and click on July, 28 2015. Angel won Thumbtack Best of 2015 and 2016 for her Clairvoyant Energy Healing in the San Francisco Bay Area. 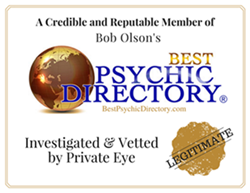 She is screened, approved and is listed on Best Psychic Directory, see link below. Angel is a certified Practitioner of Esoteric Acupuncture.